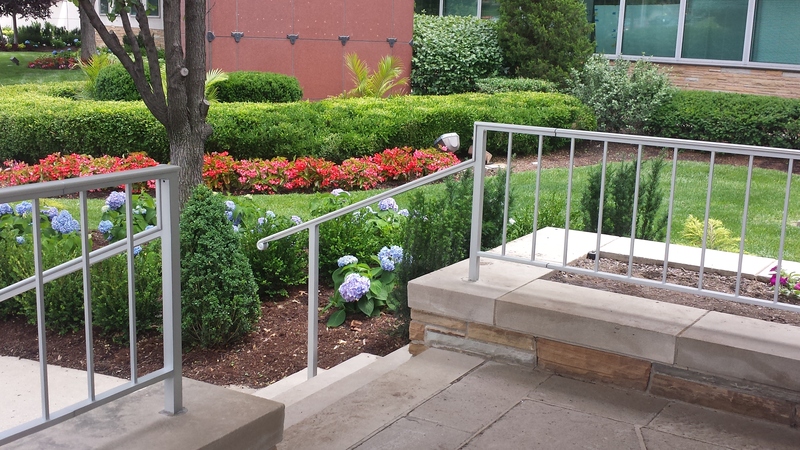 KC Restoration is excited to share the recent work we did at the HNTB building in downtown Kansas City. 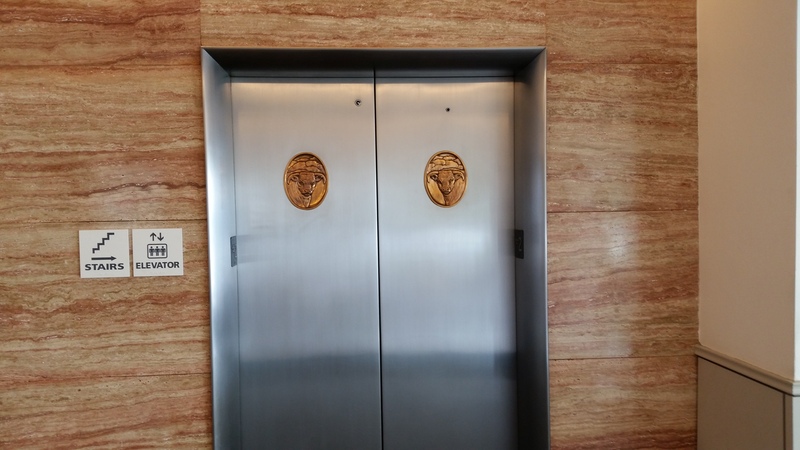 The property manager from MC Realty asked us to refinish all the aluminum railing at her downtown HNTB building as well as the stainless steel elevator entrances with a beautiful bronze bull medallions on the doors. 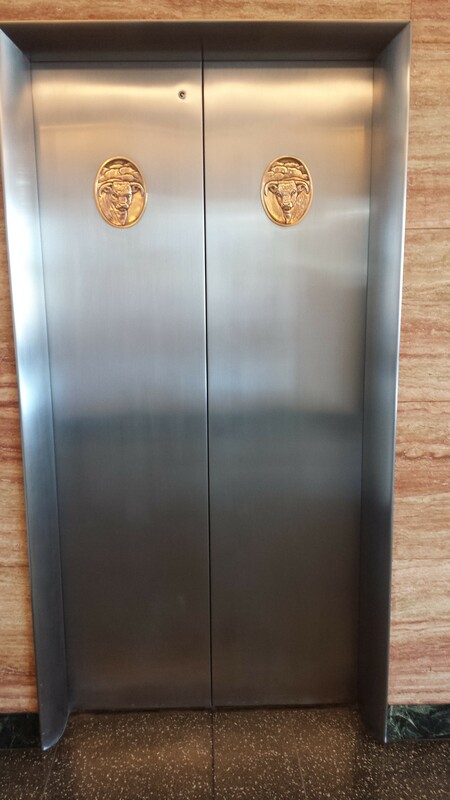 Her attention to detail is impeccable: from the landscape, plaques, and railing to the interior beauty, and down to the original bronze bull inserts on the elevator entrances. Read more about the history of HTNB and the history of their downtown home and the significance of the bull medallions. These photographs show the before of the bronze bull elevator entrances, however, all of the handrail photos are of the completed finish. HNTB, one of Kansas City’s largest engineering and architecture firms, will keep its corporate headquarters in Downtown’s Quality Hill neighborhood. The company has signed a new long-term lease for its roughly 130,000-square-foot facility at 715 Kirk Drive. The facility, owned by DST Realty Inc. affiliate Hereford LLP, includes the former 80,000-square-foot American Hereford Association building and an adjacent 48,000-square-foot structure. 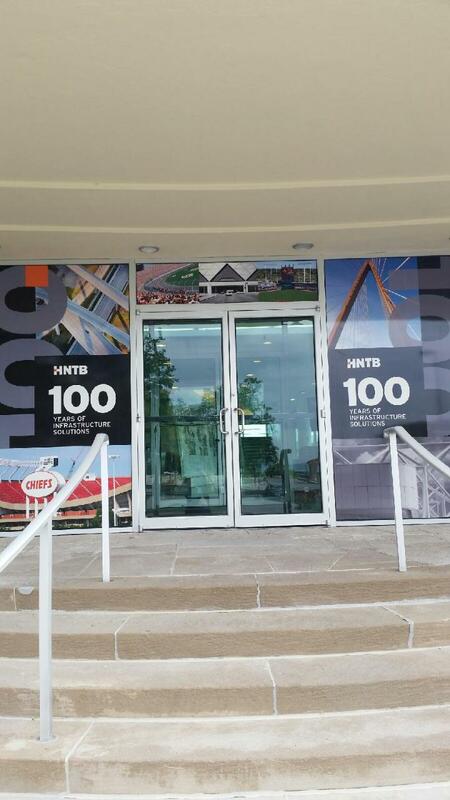 HNTB moved its headquarters, engineering, architecture and other functions to the 715 Kirk facilities in 2001. 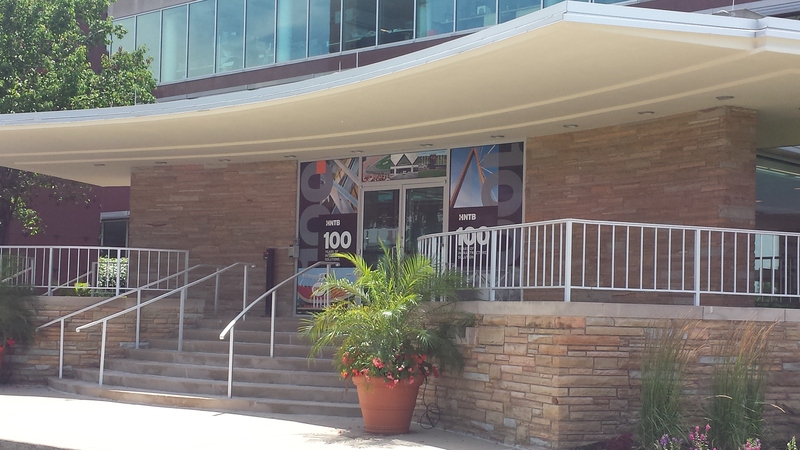 It previously had its headquarters in Downtown’s 1201 Walnut building. Sven Sykes and Tom Volini of Colliers International represented HNTB in the lease transaction that will keep one of the metropolitan area’s top private employers in Downtown. HNTB ranked No. 5 on the Kansas City Business Journal‘s most recent list of Top Area Engineering Firms, with 119 local professional engineers. It ranked No. 15 among area private companies, based on 2012 revenue of $912 million.